‘Educating for a Sustainable future’- ECO-UNESCO Clubs Ireland invited as a Key Partner in the implementation of UNESCO’s GAP (Global Action Programme). 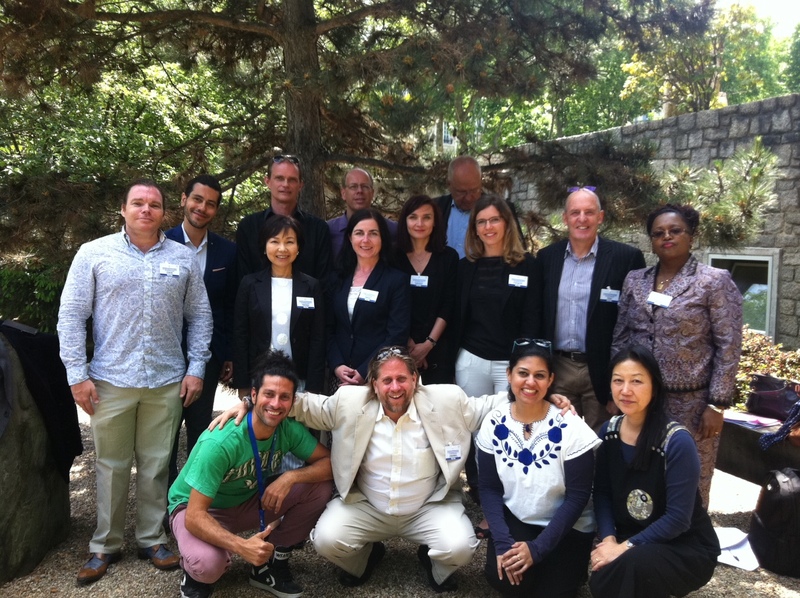 The first meeting of UNESCO’s Global Action Programme (GAP) Key Partner Network was held in Paris, France during May 26th and May 27th at the UNESCO Head Quarters. ECO-UNESCO Clubs Ireland, Irelands environmental education and youth organisation, were invited to participate as a Key Partner due to its substantial work in education for sustainable development (ESD) in Ireland. The meeting had over 70 stakeholders from all regions of the world, including representatives of government, intergovernmental and civil society organisations, the private sector and academia. UNESCO has established the five Partner Networks, one for each of the five Priority Action Areas of the GAP: policy support, whole-institution approaches, educators, youth and local communities. GAP Partner Networks are one of the main implementation mechanisms of the GAP. The Networks will create synergies for the activities of their members and catalyse actions by other stakeholders. The meeting in Paris served to formally establish the five Partner Networks of the Global Action Programme on ESD (GAP), discuss and elaborate an initial workplan for each Partner Network, including key implementation milestones; and define within each Partner Network responsibilities, coordination and working methods. Youth empowerment and mobilising young people is one of the key priority areas for the Global Action Programme and ECO-UNESCO is one of the GAP Key Partners in particular in the implementation of the Global Action Programme under this Priority Action 4 and will also get an opportunity to feed into the other Priority actions. The GAP has been identified as a key mechanism for the implementation of the new Sustainable Development Goals (SDG’s) which will be launched in the UN Headquarters, New York in September this year. ECO-UNESCO Clubs runs a wide range of education and youth programmes focused on education for sustainable development including Youth for Sustainable Development Programme; Global Youth Leaders for Change, the Young Environmentalist Awards, Learning2Change our world and promotes ESD through a variety of initiatives to engage and support young people, youth leaders, educators and youth workers interested in Sustainability issues. The GAP has two objectives; the reorientation of education and learning so that everyone has the opportunity to acquire the knowledge, skills, values, and attitudes that empower them to contribute to sustainable development – and making a difference and to strengthen education and learning in all agendas, programmes and activities that promote sustainable development. 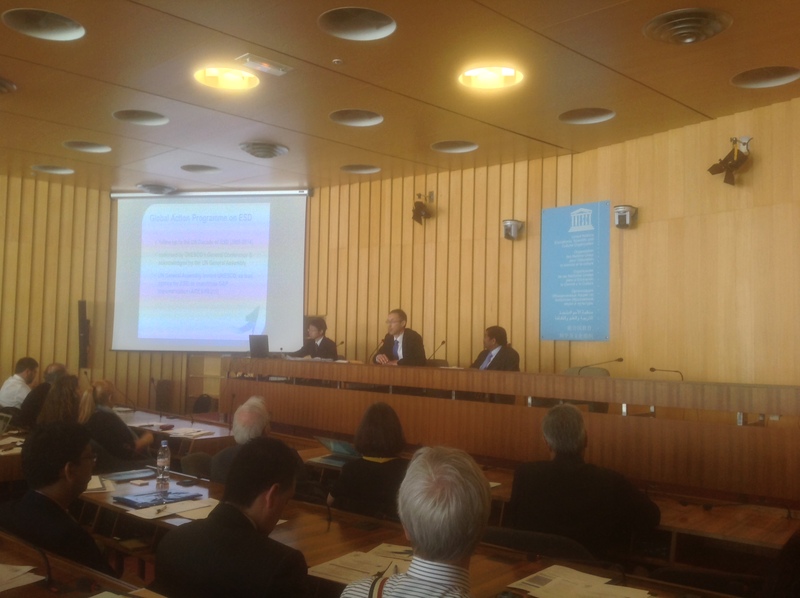 “ECO-UNESCO, as a leader of ESD in Ireland, was delighted to have been invited to be part of the GAP Global Action Programme Key Partner Network; this is a great opportunity to develop synergies with other organisations focused on Education for Sustainable Development around the world and to highlight the great projects and programmes that are underway as well as to scale up existing programmes. 2015 is an exciting year for ESD; with the launch of the Sustainable Development Goals (SDG’s) in September, UNESCO’s GAP programme is one of the key mechanisms for implementing the education element of the goals. Youth empowerment, mobilisation and education are key ways we can address global environmental challenges, like Climate Change ‘, Commented Elaine Nevin, National Director of ECO-UNESCO who took part in the meeting in Paris. 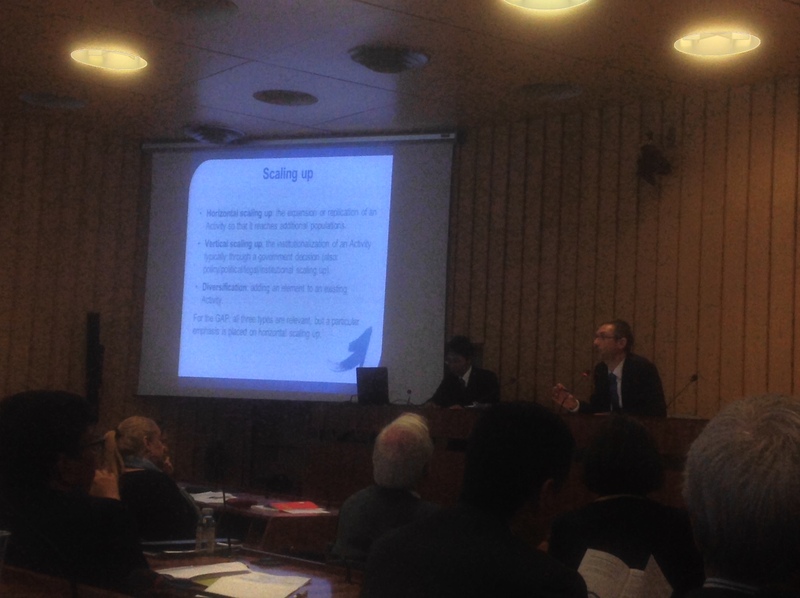 The Global Action Programme (GAP) on ESD was launched in 2014 at the World Conference on ESD in Aichi-Nagoya, Japan. The Roadmap for Implementing the GAP explains the Programme’s five Priority Action Areas and implementation mechanisms. 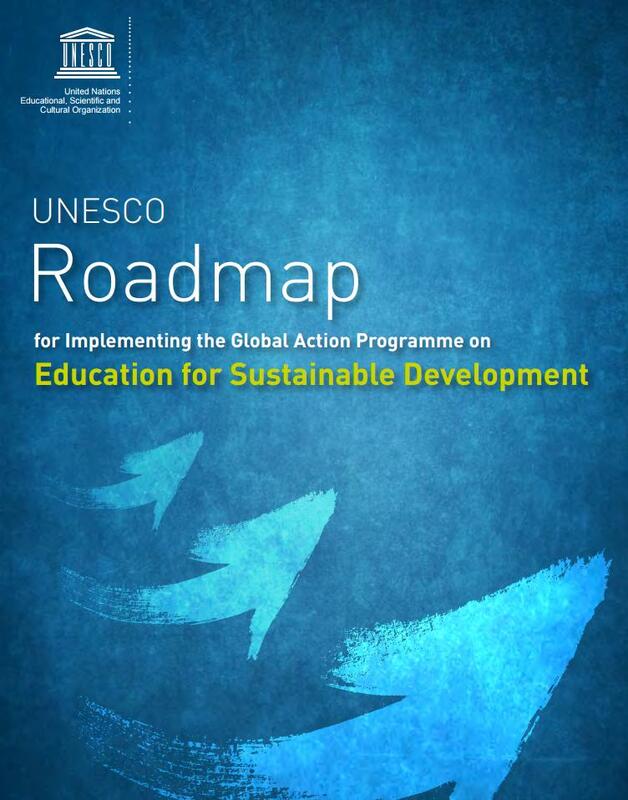 As explained in the Roadmap on p. 26, UNESCO has set up Partner Networks that help implement the GAP. These Partners Networks consist of a limited number of strategically selected key ESD stakeholders whose actions are expected to have a catalytic effect. There will be one Network for each Priority Action Area of the GAP, i.e., five Networks in total.